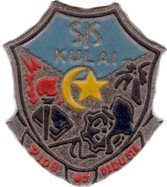 This blog is dedicated to alumni of class 1979, Sekolah Sultan Ibrahim, Kulai, Johor, Malaysia. Fellows class79’s are welcome to write in with their past and future gathering, picture, interesting story, etc. to kulaiclass79@gmail.com for posting. 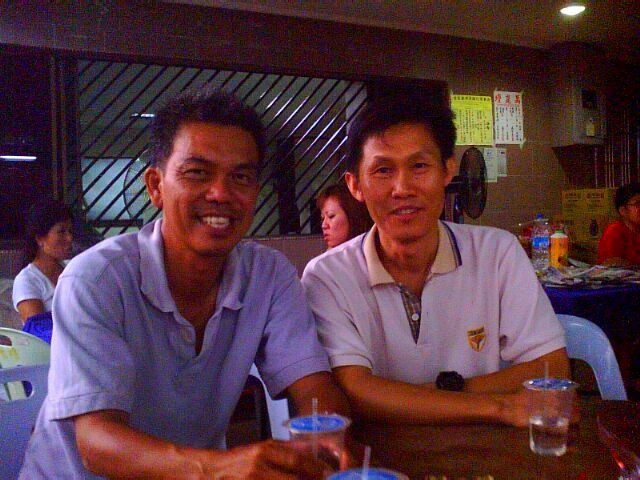 While at Kulai to celebrate Mother’s day two Friday ago (Vesak day weekend), I found out by accident from Jimmy that Katherine (Sew Lan) and Pauline(Siew Kiap) father just passed away. Together with Malai Wong and Jimmy, I managed to pay an impromptu visit to Kath and Paul at their father’s funeral. Glad that I am still able to recognize their residence somewhere near the Kulai’s Chinese Primary school. Kath’s father passed away peacefully at the age of 100 years old. My immediate thought was how old is he when he was having the twins, 55? So, for those who thinking of having more kids, you probably have 10 more years to be on-par. I did met Kath’s sister “Miss” Foo and her husband Mr. Clerence, our lower secondary math and commerce teacher respectively. What a silly question when I asked where are they teaching now? Where both are on pension from teaching and are in their sixties??? Maybe the question should have posted to their daughter (adult looking) instead who is sitting across the table…Times flied…. Attached is the picture taken on Malai Wong and Jimmy, out of respect I did not include the Foo's whom are too exhausted for the photo shoot. Who Has The Most Promising Act?